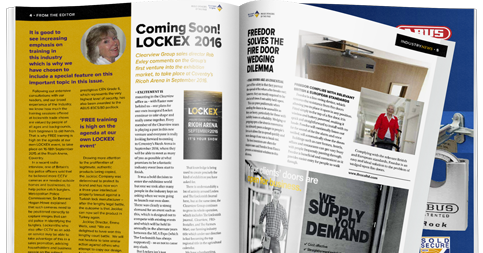 In this guide to electronic locking and access control, Carl F Groupco provides an overview of its SmartSecure solutions. Simplicity of installation is also confirmed. Carl F Groupco worked with FUHR, the long-standing and highly regarded German lock manufacturer, to pioneer SmartSecure. Latest Yale Smart technology is also included in the suite of SmartSecure options. The traditional key is replaced with a range of Smartphone and biometric keyless technology. A retro-fit route is offered with the Yale Conexis Smart locking handle. Alternatively, if your customer would like the full multipoint door lock to be electronically operated with fingerprint options for opening, this usually requires a replacement door which is also a straightforward process for fabrication and installation. 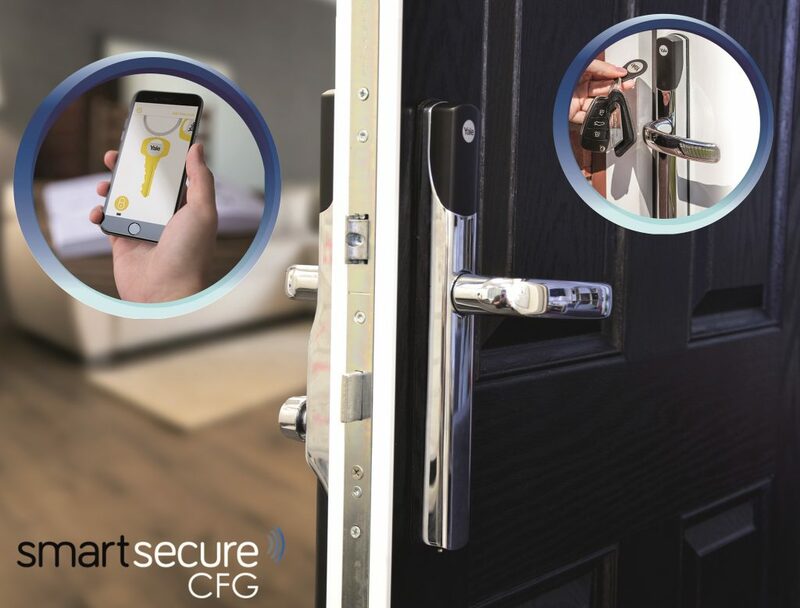 With strong security and safety benefits, SmartSecure has wide ranging appeal as doors are automatically locked on closing, which means that occupants are always secure. 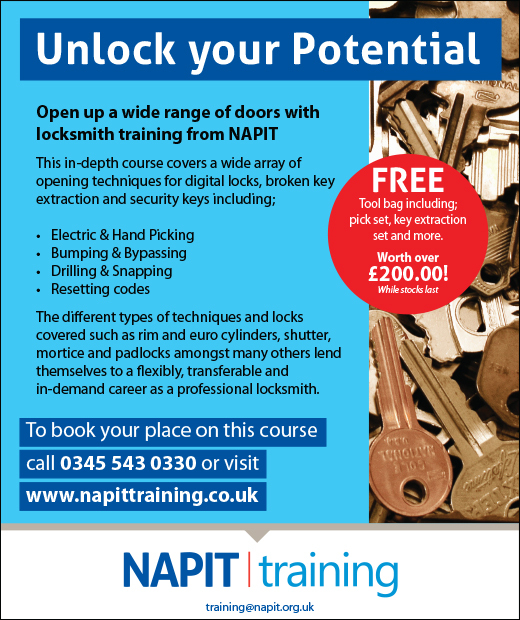 This is supported with accreditation from Secured by Design. And it is reliable, the locking technology at its heart is provided by industry brand leaders. SmartConnect easy from the SmartSecure range provides convenient door opening with a Smartphone. 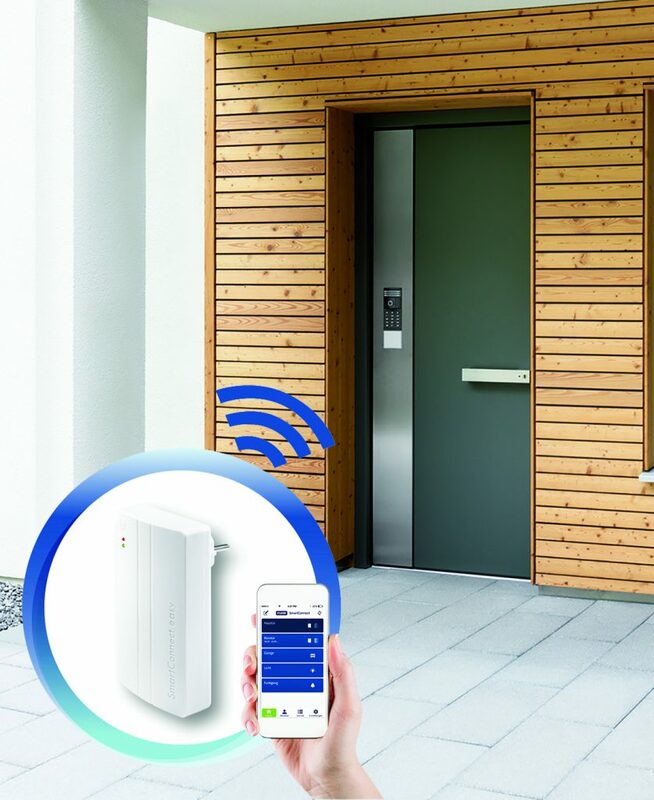 Designed for convenient door opening using a Smartphone, this SmartSecure option is an intelligent, WLAN-based system that provides keyless operation and monitoring. Sensor monitoring of door leaf and bolt position ensure complete peace of mind as locking status can be verified from any location, whenever required. Easy to install with no cables required, this system is extremely secure as SSL encryption to online banking services standard is used for communication between the Smartphone and SmartConnect easy hub. Capable of storing up to 1,000 operation log entries and offering password protected functionality, up to 200 users can be individually administered with optional access rights. A user-friendly app controls a door from any location and a Smart radio module is available for lock monitoring and feedback that confirms the door is secured. SmartConnect easy enables management of multiple users and allocation of specific times they can enter. The system also logs an audit trail to report on who accesses the property. 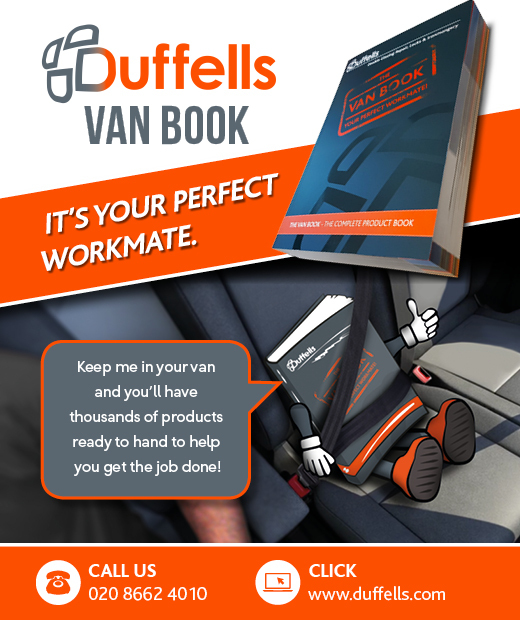 This pioneering electronic locking solution operates just like Smart car technology – activated by movement, all that is needed is a small active transponder in the vicinity of the door. It can be fitted into a sensor or pull handle meaning not only is the access control hidden, it is a discrete and stylish solution. SmartSecure – easy installation backed by accessible support. 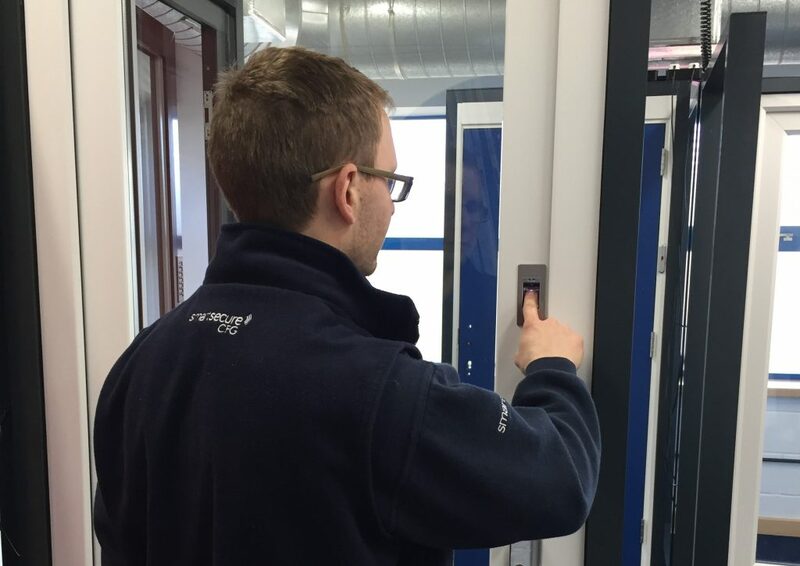 Photograph shows fingerprint access control. The Yale Conexis Smart Keyless Locking Handle has opened up new markets for SmartSecure as any 92mm PZ door lock can easily be upgraded to incorporate the system, whether retrofit or new door. A number of access control methods can be used including key cards, key tags, phone tags and an app. It would be easy to think that with all this capability comes complexity of installation, but this is not the case. SmartSecure products are very simple to fit and technical experts are on hand to answer any questions. The Yale Conexis Smart Locking handle offers a retro-fit route for SmartSecure. The Conexis L1, which can be fitted in just 20 minutes using a screwdriver and Smartphone, is engineered for easy fitting. With the full multipoint door look system, all components can be hidden, which makes it as neat as the Yale Conexis retrofit route. With just four additional routings compared to a standard multipoint lock, the transformer and cabling can easily be fully concealed into the frame. With regards to biometric fingerprint recognition, despite the advanced nature of this access control option, the simple set up process can be done by the homeowner without need of specialist help. Addressing any concerns about power cuts, the fully electronic SmartSecure lock allows homeowners to leave at any time by simply operating the handle, and the door can be overridden with a key. The Yale Conexis is also a fail-safe solution as it is powered by batteries, so a power cut will never be an issue. 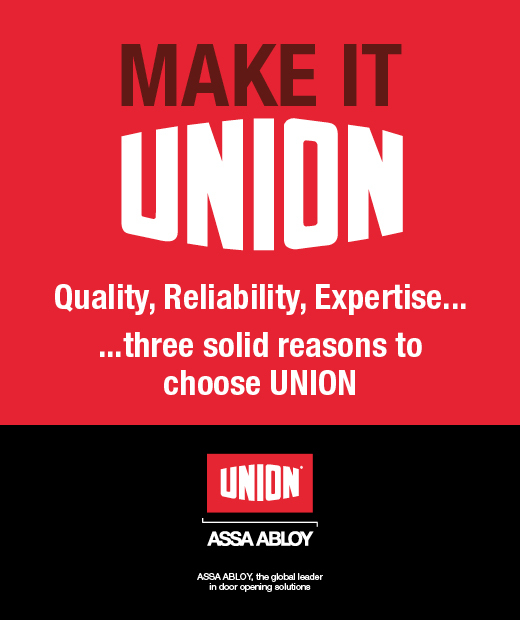 Having been reassured about the credibility, reliability and simplicity of new generation Smart locking technology, we are here to help you take the next step in the selection and installation process. 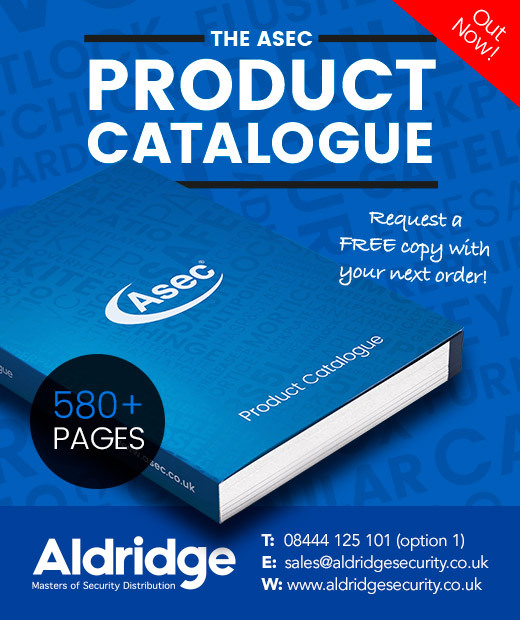 Our SmartSecure web site has more details and we are on hand to help you either over the phone or at our fully equipped demonstration show room.